The new season has arrived, and for Everton it’s fair to say its a very tough test to begin. The Toffees face newly promoted Wolverhampton Wanderers in the day’s late kick off. Wolves come into the campaign on the back of a fantastic transfer window and they will be eager to get off to the best possible start in their quest to establish themselves in the top flight. Where better to begin that quest than on home soil? A poor pre-season verdict would probably be an understatement for the Blues, having won just one of their seven games with the defence looking frail. However, heading towards the close of the window, Marco Silva has started to bolster his squad with the recent additions of Richarlison and Lucas Digne, aswell as Bernard seemingly now on the horizon.As far as going forward is concerned, it is starting to shape up very nicely with pace, directness and flair all being added to the squad. After the 17/18 season failed to live up to expectations (putting it very very lightly). Silva will be hoping to take Everton back up a notch this year making the Blues a much more fluid, free flowing outfit. As already mentioned, the front line now looks an area that Everton, and the fans, can be confident in. However for the backline, it’s a whole different story. As the end of the window grows ever closer, its absolutely imperative reinforcements are added. With the outgoings of Ramiro Funes Mori and Ashley Williams, it leaves us with a lack of quality but more to the point, a simple lack of numbers. I’m sure this will be at the helm of priorities for the Toffees, in an area that could very possibly define Everton’s season. Under new management, the forthcoming campaign holds a certain element of unpredictability and excitement. Last year was a drab, dull affair for the most part, seeing the men from Merseyside register one of the lowest shots on goal ratios in the whole league. Fast forward to now and it’s all change, or so we hope. Looking at Silva’s history and his easy on the eye football, it’s clear to see why there should be a tinge of excitement in the air, especially with the attacking options the boss now has at his disposal. Wolves enter the season with a real feel good factor about them. Last season saw the West Midlands club finish top dogs in The Championship in quite comfortable fashion. Going into the summer, it was clear to most that the Wanderers would be going out to make a statement with their business and they have done just that. The Summer has seen Wolves strengthen in several areas. Portuguese number one Rui Patricio, former Benfica forward Raul Jimenez and most notably in one of the bargains of the window, Joao Moutinho for £5 mil from Monaco have all joined the ranks. The boys in gold have enjoyed a decent pre-season. Of their seven games they’ve won three and drawn three, only losing one. As the summer break came to a close they enjoyed an encouraging 2-1 victory over Spanish outfit Villarreal to send them into the new season with a win. It’s always a difficult task kicking the season off against a newly promoted side, especially away. This time it feels even more of a challenge, with the amount of quality throughout the Wolves side, including players that have played on the biggest stages, it doesn’t feel as if it’s a side new to the league. In my opinion it’s probably the strongest promoted side in a long time and one which many are even touting to achieve a top ten finish! Everton are notoriously slow starters, winning just two of their last ten openers. Having said that, there is also, similarly to Wolves, a sense of optimism around Goodison and Marco Silva will be desperate to see his new look side make a winning start. The main issue right now is the centre back situation, which desperately needs some attention, and will hopefully be solved in the coming days. As far as week one of the Premier League season goes, this is definitely one of the better games involved. Both sides are more than capable of troubling the other and it shall be interesting to see how both sides line up. With Wolves in front of a home following that have longed for a return to Premier League football, it’s expected to be a huge test for the Toffees. Add to this that Jordan Pickford hasn’t played a minute of pre-season due to his World Cup commitments and you have to make Wolves the favourites. However, it does remain to be seen how well Wolves will be able to adapt to Premier League life. Can they keep up their stellar form from last season, or will they falter on the big stage? Only time will tell. Wolves: Patricio; Boly, Coady, Bennett; Doherty, Moutinho, Neves, Otto; Jota, Jimenez, Costa. 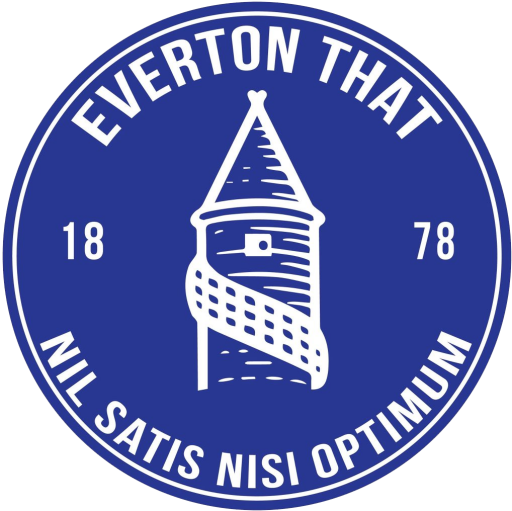 Everton: Pickford; Coleman, Keane, Jagielka, Digne; Gueye, Schneiderlin, Sigurdsson; Richarlison, Tosun, Walcott.